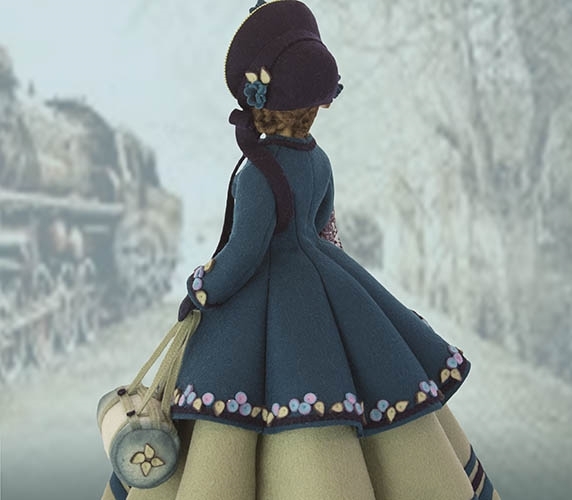 Beloved heroine, Marmee, from the cherished novel, Little Women, urgently steps off the train and returns to her anxious family. 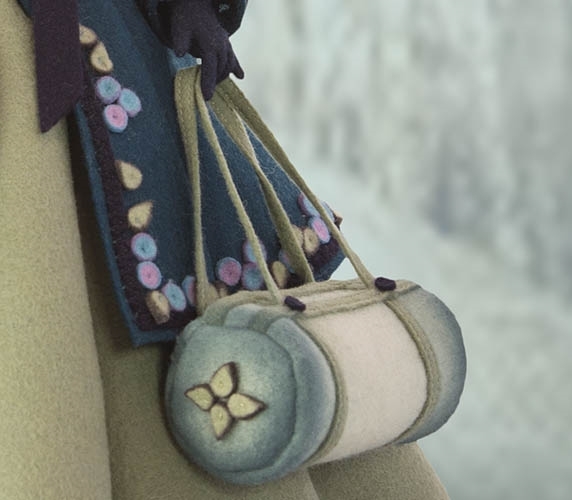 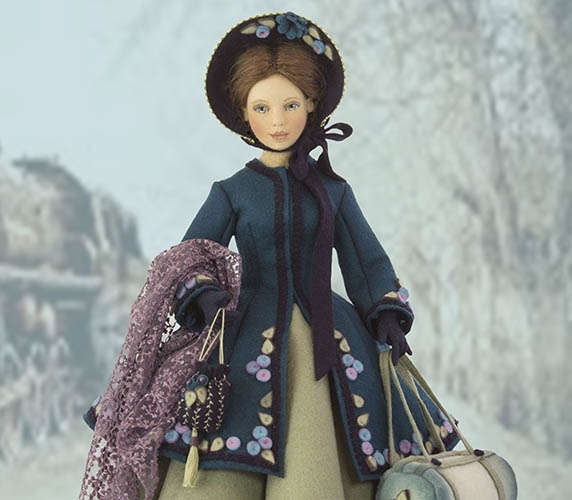 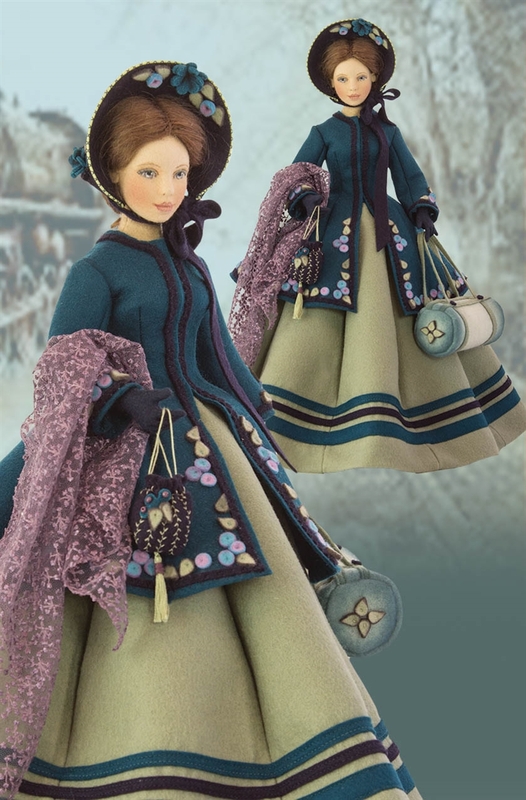 True to the Civil War era, Marmee is traveling with her gloves, reticule (with a drawstring, beading, embroidery, and tassel) and her air-brushed felt travel valise with felt-detailing. 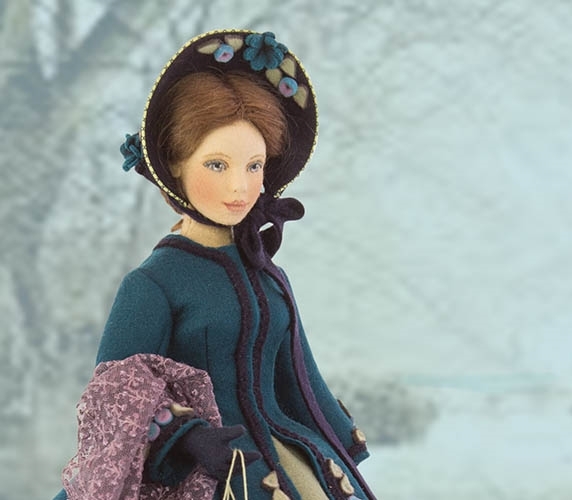 The lavender lace shawl is inspired by a Chantilly lace shawl of the period. 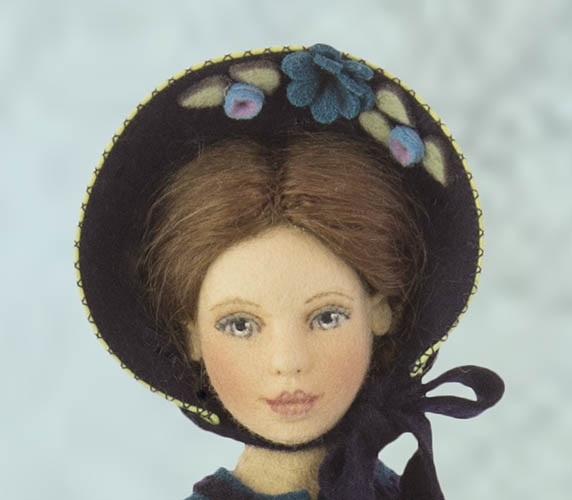 Her bonnet is embellished with air-brushed felt flowers and it sits atop her brown mohair wig which is braided in 1860s style buns.